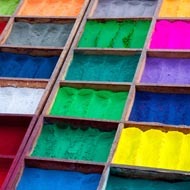 You may wish to export your photos to an online service and recreate part of the original photo’s folder hierarchy. You can do this for all photo services supported by the Photo Upload plug-in that allow Windows/Mac compatible folder hierarchies (i.e. folders and photos with sub-folders), e.g. Dropbox, Amazon Cloud Drive, Google Drive, OneDrive etc. Setting is only available for Amazon Cloud Drive, Box, Dropbox, FTP, Google Drive, OneDrive and Copy. Other upload services do not permit a folder hierarchy that can map a Windows\Mac file system – for these other services you can choose to combine the sub-folder names into a single named folder or to take just the last sub-folder’s name in the hierarchy. 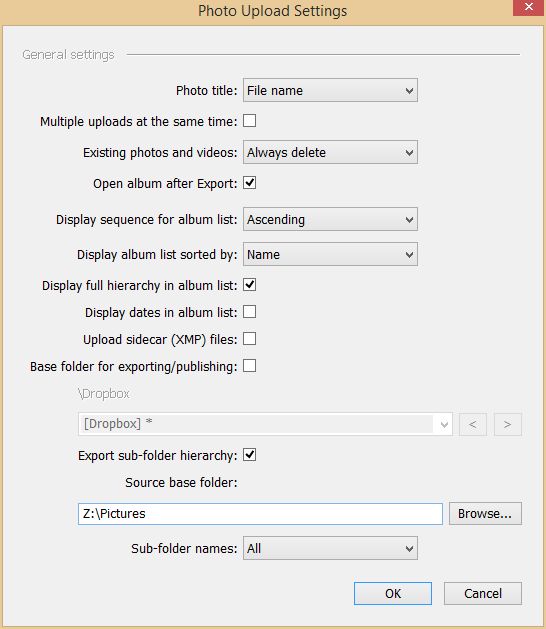 To export the photos and keep part of the folder hierarchy you should follow the instructions for Uploading Photos – Export, but first specify one of the Export settings using the Setting button. 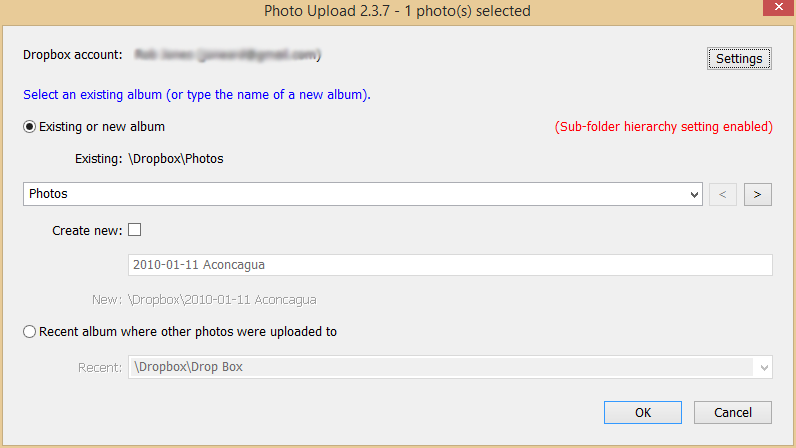 In the “Sub-folder names” drop down menu you can specify which of the sub-folders will be recreated during the export. Choose “All” to recreate all the sub-folders each photo’s path that follow the source base folder. Close the Settings window by pressing OK and then click the Export button in the Export window. The Album Selection window will open. Notice the red indicator saying “Sub-folder hierarchy setting enabled”. Choose OK and your photos will be uploaded to the photo service.